Best Driveway Alarm Reviews: Top 10 Sensors in April 2019! Both systems work well; the motion sensor system is used for wide arrays, where you detect any object large enough to trigger the alarm. Break beam systems use a concentrated beam of light that when obstructed set off the alarm. Wireless alarms use batteries or solar power, negating the use of power cables, and making them undetectable. These sensors, when placed accurately, will secure any driveway and assure the homeowner’s safety from the driveway location. Now let’s take a look at the 10 best driveway sensors on the market today. The Dakota Alert BBA-2500 is an infrared solar powered break beam kit that is wireless and has an advanced filter system that reduces false alarms. This solar powered model has sensors that work up to 300 feet, with a receiver that can be distanced as far as half a mile away, but requires an unbroken view. This model works in all climates including temperature ranges of -30°F to 120°F. The transmitter provides you with four different tones, so you can set zones and know which zone is activated. 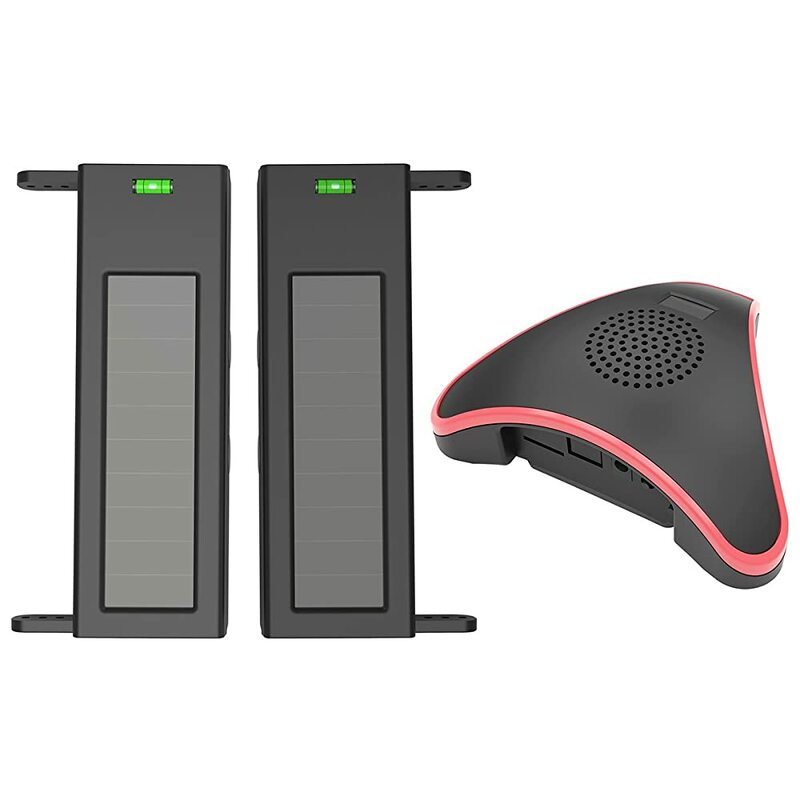 The STI Wireless Solar Driveway Monitor w/ Voice Receiver is an improved solar powered and wireless model that is designed specifically for driveways. This model will always alert you when a vehicle comes up the driveway and comes with a 4-Channel Voice Receiver (STI-V34104). The sensors transmit on a 433 MHz wireless frequency. 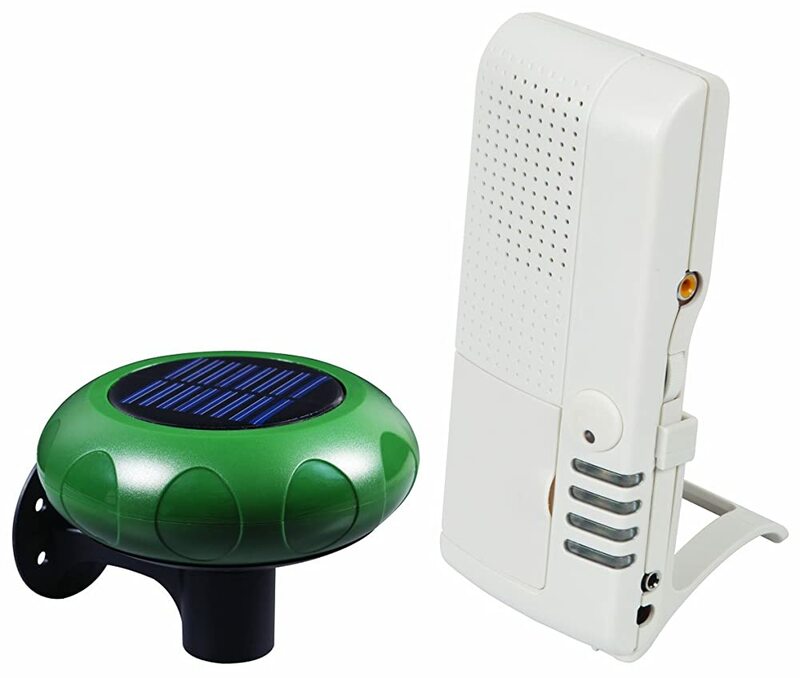 The sensor is solar powered and comes with 2 AA NiMH rechargeable batteries for backup. The system works with up to 1000′ clear line of sight to the receiver. You can add more sensors for a wide array, and have up to four zones. The receiver will deliver a tone or a predefined warning message in either English or Spanish. The filters assure that this device does not activate for smaller disturbances such as humans and animals. 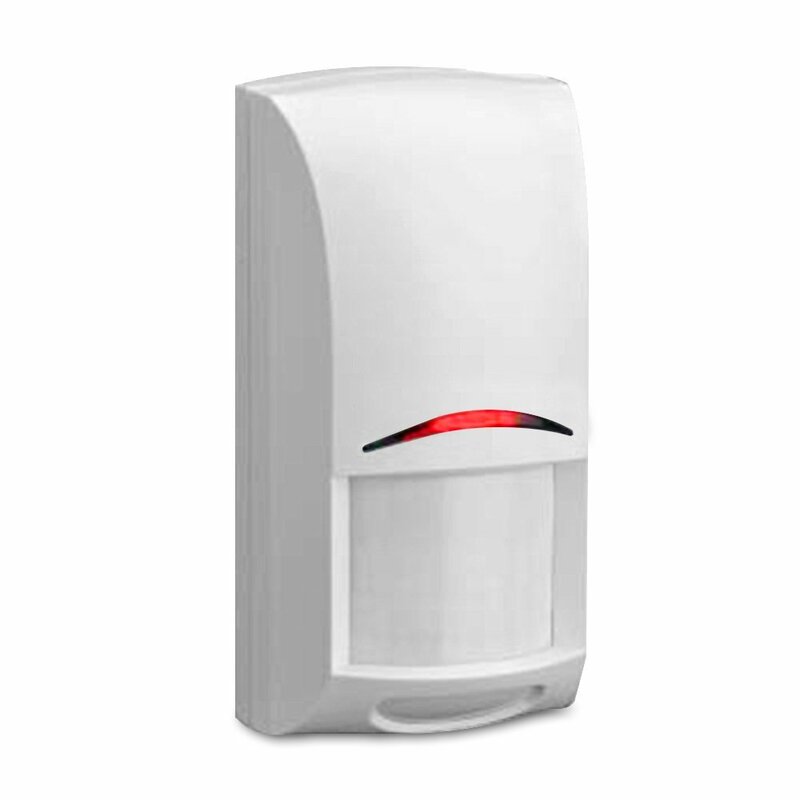 The Chamberlain CWA2000 Wireless Motion Alert is a stable and standard wireless passive infrared (PIR) monitoring system that is totally wireless. This unit comes with a battery and AC outlet powered receiver working with a CWPIR sensor, and you can add more sensors to activate with one receiver. These sensors will detect any movement from a 30-foot radius and transmit to your receiver, even when it is half a mile away. 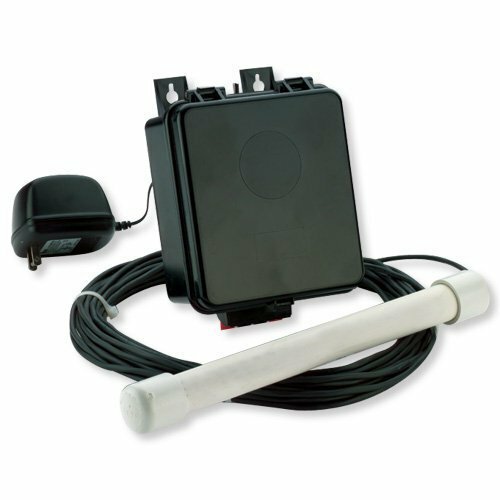 The Dakota Alert VS-250 Wired Vehicle Sensor is a reliable sensor that uses hardwire connection for a more reliable and hack free operation. While wired systems can be cut, they cannot be hacked; this means that after you set the wiring of this system in a secure manner, your system cannot be attacked by a wireless network device. This model uses a 110V outlet for its power source, and also comes with battery connection capabilities from each probe. Two contacts of 12-volt DC (500mA max) are linked to each probe. This model has a sensitivity control; this means you can tune each application, and also adjust the whistle and the voltage output for 2, 4 or 8 seconds. This kit comes with a 250’ wire so you can secure the sensor under, or parallel to any driveway path. 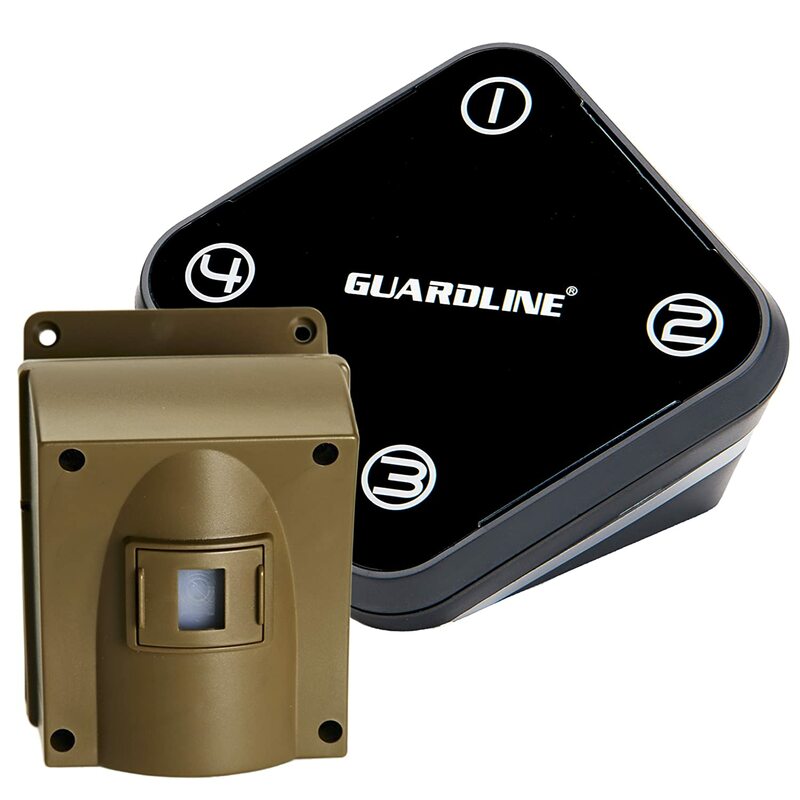 The Guardline Driveway Alarm is an unlimited system, which means you can add up to 16 sensors to an unlimited supply of receivers. Essentially, you create a 4-zone grid that can detect anyone, anything and at all times. The more complex the grid, the more chance of security. This is a PIR system, so it works 24/7 and activates a differentiating sound system that lets you know which zone has been activated. The alarm is accompanied by a flashing LED for the extra alert. This unit connects to the mains but also is battery operated. Sensor Range: Up to 40 ft.
S to R Range: Up to 1000 ft. Tones: 30 different tunes and adjustable LOUD volume. Expandability: Supports up to 16 sensors and unlimited receivers in one system. Field of vision: 12 to 15-degree viewing radius, up to 40 ft. distance. Receiver 12V adapter or 4 AAA batteries. Sensor: 3.25″ x 5.5″ x 4″. Receiver 5.5″ x 5.5″ x 4″. 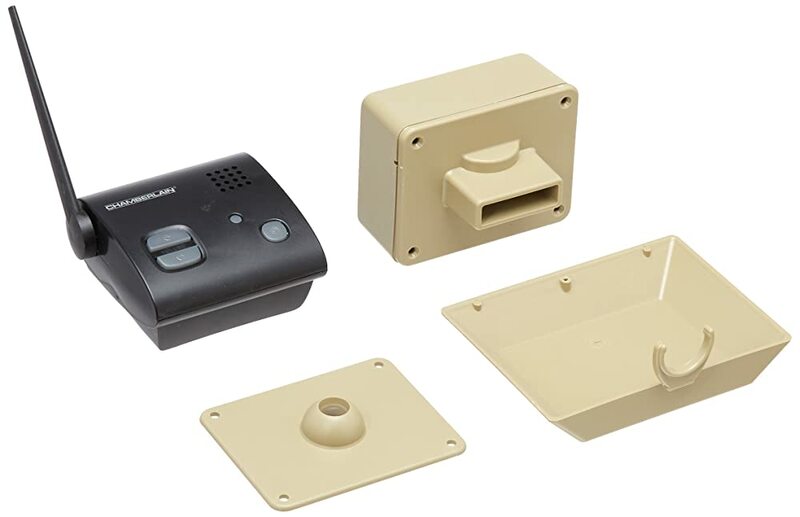 The Rodann RX2000A system is made up of four individual components; these are the receiver, the chime unit, the indoor sensors, and the outdoor sensors. Essentially providing you with a comprehensive solution for driveway and garage entrance protection. 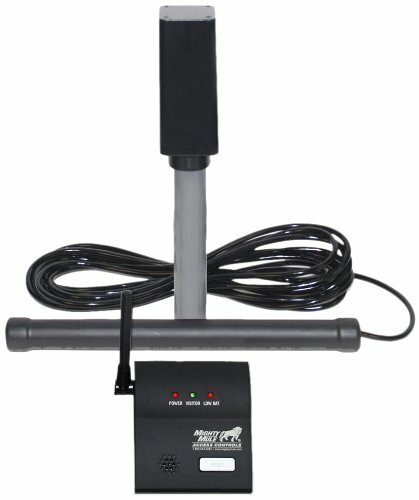 The kit includes the RODTX2000A driveway Sensor. These are PIR sensors that can be installed up to 2,000 feet away from the receiver. These sensors will detect any movement within the sensor range and activate the alarm. The TX1000A Rodann Transmitter is an indoor wireless PIR motion sensor, it works like the outdoor one but is designed for indoor operation. This is perfect for placing in the garage space. The CXRX1000A transmitter / Chime Receiver is an indoor magnetic door system that creates a magnetic link between an opening and the frame. When the door is opened, the connection is broken, and the system transmits a chime and a warning to the main receiver. The RX1000A Chime Receiver is the hub of the system. This unit is powered by a 12V DC source and receives data from all the sensors. It has 4 different ones and will alert you to which zone is compromised. The Mighty Mule Driveway Alarm FM231 has a 400-foot transmitter to receiver range and detects motion from 3 to 12 feet using an electromagnetic disturbance system. This system is easy to set up, and it incorporates an outdoor electromagnetic sensor that detects large quantities of metal, or in layman’s terms: vehicles. 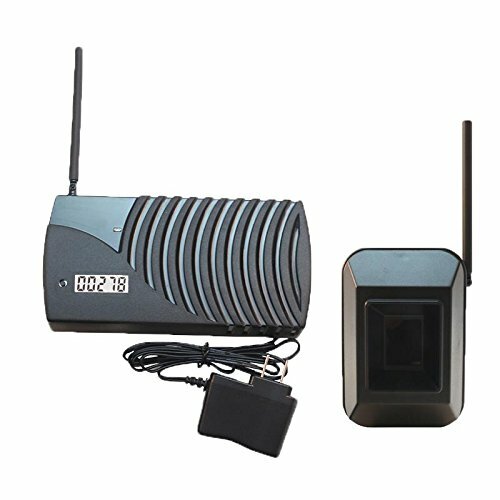 With no false alarms from people or animals, this device is a focused vehicle detection system, and is perfect for drive-throughs, and receiving bays that want to manage vehicle detection only. This model comes with 2 AA batteries and includes a self-diagnostic low battery indicator on the receiver and the transmitter. The HTZSAFE ½ Mile Long Range Wireless Driveway Alarm is a solar-powered wireless system that uses backup rechargeable lithium-ion batteries. 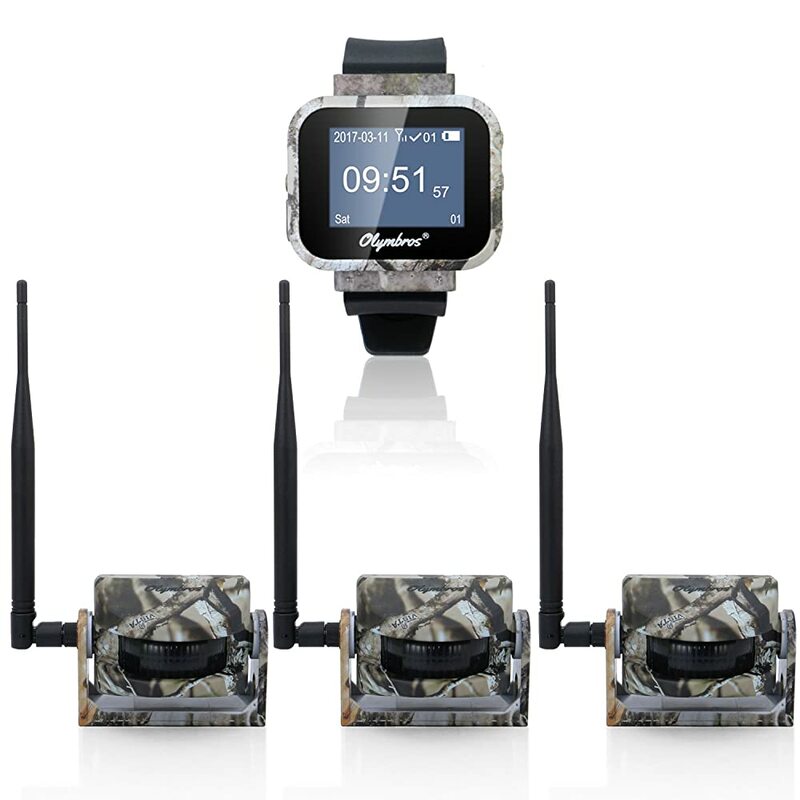 This kit provides you with one sensor and receiver and detects all movement from 300 feet, transmitting the data over ½ a mile to the receiver. The receiver uses 2 tones for the alarm and sends out a shrill 90dB sound accompanied by a red and white flashing LED array. This system can be expanded up to 32 individual groups, so you are not limited to four zones, and can organize a complex matrix of sensors that will transmit either to one receiver or too many receivers for multi-zone positioning. This system is IP66 waterproof and works in all environments and temperatures ranging from between40℃ to 70℃). The Olymbros is actually more than a driveway sensor system; this is a hunting sensor system designed to create perimeter alerts from predators. As such, it is a perfect outdoor intruder alarm system that fits perfectly in any driveway. 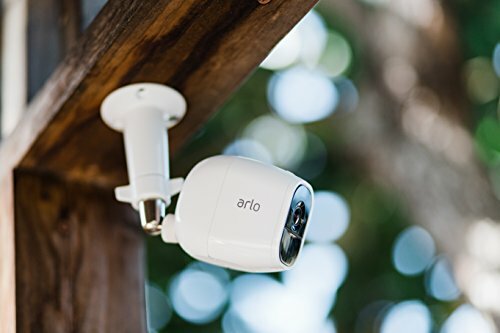 This model is camouflaged and is waterproof, making it a durable outdoor sensor that delivers a wide range angle of view, 120° vertical and horizontal with a reach of 65’ per sensor, and a 200-meter transmission range. This kit comes with 3 sensors that work with one receiver, and they use PIR activation. When triggered the receiver will either vibrate, beep, or flash a LED light, or any combination of these three alarms. Now for the clincher, this is a watch receiver, meaning that you can walk around with it on, while the system is activated and receive your alerts on the go. The receiver will connect to 100 sensors, so you can create av ritual matrix map of sensors around your home, and not only your driveway. 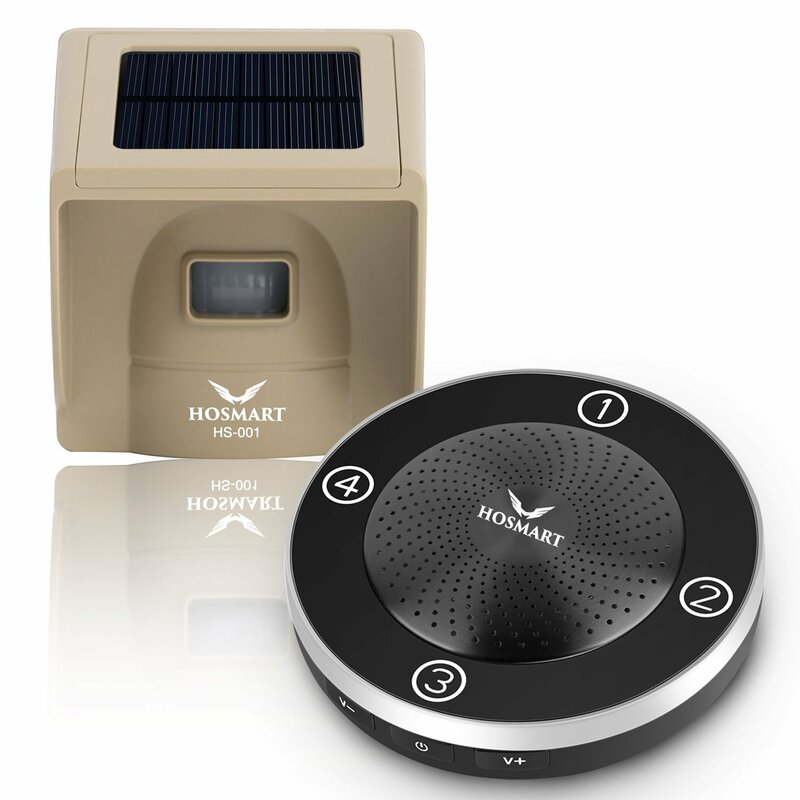 The Hosmart Solar Motion Sensor with Wireless Motion alert system is a very simple and easy to use driveway motion detection system. This alarm system is one of the easiest to use, and you can set up four zones using four sensors, connecting to one receiver. The receiver will light up a number reference to the zone that is activated, making location detection easy. The Hosmart sensors are weatherproof, and has a sensitivity control that can determine the distance of operation; Hi = 30ft, Mid1 = 25ft, Mid2 = 20ft, Low = 15ft. The receiver connects to an AC adapter as well as being portable with 4 x AAA batteries. The receiver is puck-shaped, so you can actually carry in your pocket when needed. When setting up a driveway alarm system, you must consider some factors that will determine the system you can install. The distance from the driveway sensor array and the receiver, which is most probably in your home. Take into account that walls and foliage do affect the signal quality. Therefore, a system that boasts a 1,000-foot line of sight means it will work to that distance only if the line of sight is clear. In most cases, the distance will be shorter due to interference, and the optimum distance of true signal strength, in this case, would be around 300 feet. Decide what you want to detect, is it only vehicles, or are you detecting any movement? If its only vehicles, consider an electromagnetic system since this will activate when large metallic objects enter the zone of the sensor. If you want to detect people as well, then you need a PIR system that will activate based on filter sensitivity. This means you can filter the strength of the signal to ignore animals up to a certain size. Is this system part of a larger more comprehensive one? If so to need to make sure it integrates with the larger system. If it is a stand-alone system, still consider the future, will you want to add more security features? If so, buy one from a supplier that has a larger range of products you can expand into. Consider the dimensions of the driveway you want to secure. How long is it, how wide is it and where does it end? Then consider the coverage of each sensor and how to locate them for maximum coverage You might want to consider mixing sensors between PIR, EM and broken beam models for maximum coverage of all locations and conditions. Do you have to consider what system you want? An active alarm that will warn off the intruder, or a silent system that just notifies you when the sensor has been activated.